Editor’s note: Every day, hundreds of Kansans with serious mental illnesses receive treatment in communities, state psychiatric hospitals or nursing facilities. But when a person with a serious mental illness slips through the growing gaps in the system, the results can be deadly. Kiowa County District Court Judge Sidney Thomas sentenced Brandon Brown to 20 years, the minimum sentence based on the second-degree murder charge and his criminal history. The judge recommended that Brandon serve his sentence at Larned Correctional Mental Health Facility, but the Kansas Department of Corrections isn’t required to follow that recommendation. This article examines how Brandon Brown, a Kansas man with schizophrenia, moved through the state’s mental health system — and how that system may have failed him and the man he murdered. No one disputes that Brandon Brown killed Jerry Martinez while both were patients at a Kiowa County mental health nursing facility. But both men’s families are haunted by questions about whether the Kansas mental health system could have stopped it. Brandon, a 31-year-old with schizophrenia, attacked Martinez at Haviland Care Center in May 2015. Martinez, 62, died at a Wichita hospital 18 days later. Brandon pleaded no contest to second-degree murder and received a 20-year prison sentence in December. While no one seems to have anticipated the beating, Brandon had a history of less-serious violent incidents linked to hallucinations. His father, Jim Brown, said he looked for help for his son’s condition at mental health facilities across the state: from Osawatomie to Topeka to Haviland. Before he started showing signs of mental illness, Brandon was a “preppy” boy, Brown said. His son was close to his mother, who died when he was 17. Brown realized something was seriously wrong after his son, then 19, was arrested for shoplifting and public urination. Brandon spent nine months at Larned State Hospital after insisting the food at the Atchison County Jail had been poisoned — the first of many hallucinations and delusions caused by his schizophrenia. Many people who have schizophrenia are able to live independently, but Brandon wasn’t one of them. He cycled in and out of the state hospitals and other psychiatric facilities for years despite support from his father and local mental health centers. When Brandon punched a police officer sent to check on him in 2011, it was clear he couldn’t manage his condition in the community, Brown said. The next stop was a mental health nursing facility. Mental health nursing facilities are unique to Kansas. Created for adults who need extensive mental health care but aren’t a danger to themselves or others, they fill a niche between community treatment and the two state psychiatric hospitals. Across Kansas, about 800 patients live in 10 mental health nursing facilities. Unlike geriatric nursing homes, they aren’t intended to house patients for the rest of their lives, said Cindy Luxem, president and CEO of the Kansas Health Care Association, which represents some of the state’s nursing facilities. “They want to get them healthy and back to the community,” she said. Unfortunately, the state’s way of funding them doesn’t prioritize mental health, Luxem said. Nursing facilities get paid based on residents’ medical needs, so the daily rate is low for physically healthy young people even if the they need around-the-clock supervision, she said. Medicaid won’t pay for stays in mental health nursing facilities, though Medicare will under some circumstances. A report by a state working group released in March 2016 raised concerns that staff at mental health nursing facilities lacked even basic psychiatric training. It also said some mental health patients were placed in the nursing facilities because the state didn’t have other options better suited to their needs. Brandon cycled through several mental health facilities but eventually found stability in 2013 at Providence Living Center in Topeka. There he not only avoided the hospital but also made friends with other residents, played basketball and tried to tend a garden patch, his father said. “He did well in a controlled environment,” Brown said. The relative calm wouldn’t last. An annual screening in November 2013 determined Brandon no longer needed the level of care provided at Providence Living Center. He was sent to a transitional living facility in Greensburg, where he would live with roommates in a home with supervision, Brown said. Federal policy requires the annual screenings to determine if people with disabilities, including some mental illnesses, are receiving services in the least restrictive setting possible. Brandon couldn’t adjust to his new home in Greensburg, though. He isolated himself in his room, stopped eating and was hospitalized twice. He was transferred to the nearby Haviland Care Center in April 2014 because his mental health was deteriorating, Brown said. Many people benefit from moving to a less restrictive facility, but they may need high levels of support during and immediately after the transition, said Susan Crain Lewis, president and CEO of Mental Health America of the Heartland, a mental health advocacy organization in Kansas City, Kansas. “Some of what happens is that when someone gets better, we withdraw support too fast,” said Lewis, who also chairs the Kansas Mental Health Coalition. Brandon started eating again at Haviland Care Center, but he didn’t fully recover. Brown said he would take his son out during his monthly visits, but Brandon’s increasing paranoia made it difficult to go anywhere without incident. Karel Page, administrator of Haviland Care Center, said the facility couldn’t comment on Brown’s statements because of the legal aspects of the case. Brandon’s increasing symptoms came to a head with two violent incidents in two days at Haviland Care Center. On May 6, 2015, Brandon chased a female resident down the hall and pulled her to the ground after she came into his room and tapped him on the shoulder. The next day, after Brandon and his roommate threw punches, Brandon was sent to Osawatomie State Hospital. He returned to Haviland Care Center a week later. A discharge summary, which Brown obtained later, stated Brandon had been calm and cooperative at the state hospital and denied thoughts of hurting himself or others. It noted, however, that he still showed signs of paranoia and disorganized thoughts, heard voices and had a “suspicious guarded” demeanor. Brown said that line would have been a red flag to him if he had seen it before his son was discharged. Brandon had learned to hide his symptoms when he wanted to get out of the hospital, and it wasn’t unusual for them to escalate quickly. Brown also speculated his son could have been discharged earlier than he should have been to free up a bed at the state hospital. At the time, Osawatomie State Hospital faced staffing issues and concerns from federal inspectors about safety issues that threatened patients’ health, but the hospital wasn’t overcrowded. Two patient counts made within days of Brandon’s stay were 133 and 135 — below the 146-patient capacity. The patient count was on officials’ minds, however. On the day Brandon was released, the Kansas Department for Aging and Disability Services issued a memooutlining preparations for a possible moratorium on admissions at Osawatomie State Hospital. Angela de Rocha, KDADS spokeswoman, said Brandon wasn’t discharged due to lack of space. The hospital planned his discharge appropriately so that he could be cared for in the least restrictive environment as legally required, she said. “None of the parties involved in Mr. (Brandon) Brown’s care had any reason to believe this would occur,” she said. Staff at Haviland Care Center didn’t seem to believe Brandon had been discharged too early. An investigation from the Centers for Medicare and Medicaid Services in response to Martinez’s death said facility records described Brandon on May 14, 2015, as “verbally appropriate, pleasant and content,” and said he reported no hallucinations or thoughts of harming himself or others. Within two days, however, his mental condition had declined. On May 16, notes by Haviland staff indicated Brandon was walking “around in a daze,” was incontinent, had auditory hallucinations, didn’t respond to staff and moved his belongings from his room into the hall and back again, without an apparent reason for doing so. Lewis said some psychiatric patients do develop severe symptoms rapidly after being discharged from a hospital, particularly if they don’t have adequate support. Each person should have an individual plan for how facilities respond if they aren’t doing well after discharge, she said. Another note, at 1:40 a.m. the day of the attack, said Brandon was “walking in the hall laughing loudly” at nothing in particular. The record doesn’t include any attempts to adjust Brandon’s medications or have him evaluated by a psychiatrist. Those symptoms wouldn’t have qualified Brandon for the state hospital, unless he expressed that his hallucinations were pushing him toward harming himself or others, Lewis said. Ideally, nursing facilities would have different units based on the severity of patients’ symptoms and their potential to harm others, but few have enough space or staff to do that, she said. “The piece that is essential and is clearly missing from mental health is having all the pieces in place and the flexibility to move between them,” she said. State hospitals can stabilize patients, but no one is in charge of ensuring that they continue their treatment once they leave, said Rick Cagan, executive director of the Kansas chapter of the National Alliance on Mental Illness. Haviland Care Center is one of the best nursing facilities for mental health in the state, he said, but it still isn’t equipped to treat people whose conditions aren’t stable. “We keep pushing people through the system,” he said. “Maybe there’s kind of a hope and a prayer that maybe this will work out. It’s very hard to stand in judgment of the facility or even the state hospital. Haviland Care Center’s records go silent in the hours leading up to and immediately after the attack. The next note, written two days after Brandon beat Martinez, described a “routine evening” on May 17, with Brandon having dinner, going out to smoke and spending some time alone in his room. About 8:15 p.m., Brandon walked into Jerry Martinez’s room. Deborah Smitherman, a nurse at Haviland Care Center, went to investigate a loud noise and saw Brandon beating Martinez on the face while Martinez lay in bed. She stood in the door and yelled at Brandon to stop. He did for “just a second,” stared blankly at her and resumed beating Martinez, she said. Smitherman called for help from Nancy Doss, the only other employee on duty, and went to call 911. Brandon pulled Martinez out of bed and start beating his head against the floor as she turned to leave, she said. Brandon confirmed the details when he spoke at his sentencing in December 2016. 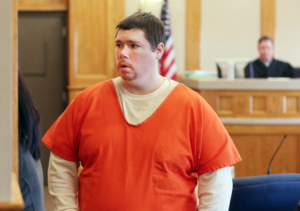 Doss testified at a preliminary hearing that Brandon appeared to be out of touch with reality during the beating, according to the Kiowa County Signal. No one tried to physically restrain Brandon, though a resident did persuade him to stop and return to his room after about five minutes. By the time law enforcement arrived from Greensburg about 10 minutes later, Martinez was in critical condition and had to be airlifted to Wesley Medical Center. The city of Haviland, which has a population of 701, doesn’t have a police department. Smitherman said she didn’t intervene because she feared Brandon would hurt her, leaving only Doss on duty to handle the situation and take care of the other residents. The facility is licensed to care for 45 patients. “All my instincts told me it would make things worse for more people if I did (attempt to intervene physically),” she said. Federal rules on staffing at nursing facilities are vague, stating that they must have sufficient staff to take care of all residents. Facilities typically are cited for insufficient staffing only when inspectors find some other problem, such as patients waiting long times for help. Luxem declined to comment on staffing or procedures at Haviland Care Center but said all nursing facilities recently have struggled with staffing. The number of people employed in Kansas nursing facilities dropped by about 10 percent from 2014 to 2015, partially due to budget problems when Medicaid failed to pay on time due to a backlog in the KanCare application system, she said. “I don’t think that there is any home in Kansas that would say they have enough staff,” she said. Kansas doesn’t have training standards for employees at nursing facilities for mental health, according to the state work group report, but federal officials do. The CMS investigation cited Haviland Care Center for failing to teach employees to intervene physically and required the facility to retrain its staff. Brandon would later tell police and a psychiatrist conducting an examination that he hadn’t intended to kill Martinez, but he was “tired of (Martinez) going into his room and taking his stuff” and he “just did it to teach him a lesson to stay out of his room.” Those allegations are unconfirmed. The prosecution and defense agreed that Brandon had a long history of mental illness, but under Kansas law it was largely irrelevant. 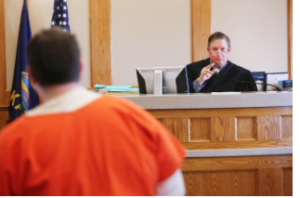 A defendant has to show that his illness prevented him from forming the intent to commit a crime, said Jean Phillips, director of clinical programs at the University of Kansas School of Law. For example, a person who thinks he is defending himself from an enemy soldier would be found guilty, because he knew he was attacking a human being – but a person who thought the person he was beating was a mailbox likely wouldn’t be found guilty, she said. illness was a mitigating factor, but not enough to depart from state sentencing guidelines. He sentenced Brandon to 20 years, the minimum sentence based on the second-degree murder charge and his criminal history. The judge recommended that Brandon serve his sentence at Larned Correctional Mental Health Facility, but the Kansas Department of Corrections isn’t required to follow that recommendation. Kay Ryan, Martinez’s sister, said she was pleased that Brandon would serve prison time, but she also blames Haviland Care Center for her brother’s death because only two people were working that night. At his son’s sentencing, Brown argued that Haviland Care Center and Osawatomie State Hospital bore some responsibility for the attack, for what he said was a failure to treat Brandon’s illness. He said he has tried to use the case to push for more investment in mental health, but elected officials haven’t shown much interest. Lewis of the Mental Health America of the Heartland said the problem isn’t necessarily with individual facilities or workers but with holes in the mental health system. Patients whose mental health needs are too severe for a nursing facility but not severe enough for the state hospital can fall through the cracks, she said. “Kansas is struggling at most points on the continuum,” she said. After years of failing to find help in the mental health system, Brandon finally seemed to improve in the year and a half he spent in the Kiowa County Jail, Brown said. Brandon’s thoughts still come across as irrational in phone calls, but he can get through a conversation, which his father attributes partly to the structured environment in jail. “I think he feels safer,” Brown said. Meg Wingerter is a reporter for kcur.org‘s Kansas News Service, a collaboration of KCUR, Kansas Public Radio and KMUW covering health, education and politics in Kansas. You can reach her on Twitter @MegWingerter.